Stand Back I'm Attempting SCIENCE! I like science. Especially Ecology. I like nature and animals and Space. 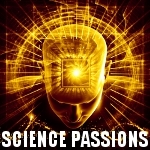 StarTalk is my favorite Podcast right now, and I'm always looking for more suggestions on how I can get my science on, feel free to drop me a line with ideas or your favorite sources of science info. Seeking for a mystery woman. What I find interesting about science is the existence of probability and mystery challenge to all things in this galaxy and this world we live in. Fill this out better later. Science is about making what we thought impossible previously into possible now and doable in the future. I would like to explore strange, new worlds. Seek out new life and new civilizations. And be like Kirk and explore new variations of females.